· Low-profile sneaker with lace up design. 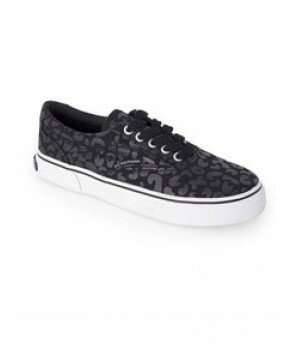 · Heavy canvas upper with allover grey cheetah print. · Patch with small stitched logo on tongue; contrast laces. · "U.S. POLO ASSN." detail on back heel.